Use this eTool to complete the tasks in problem 4-65. Copy the three figures above onto a piece of graph paper. 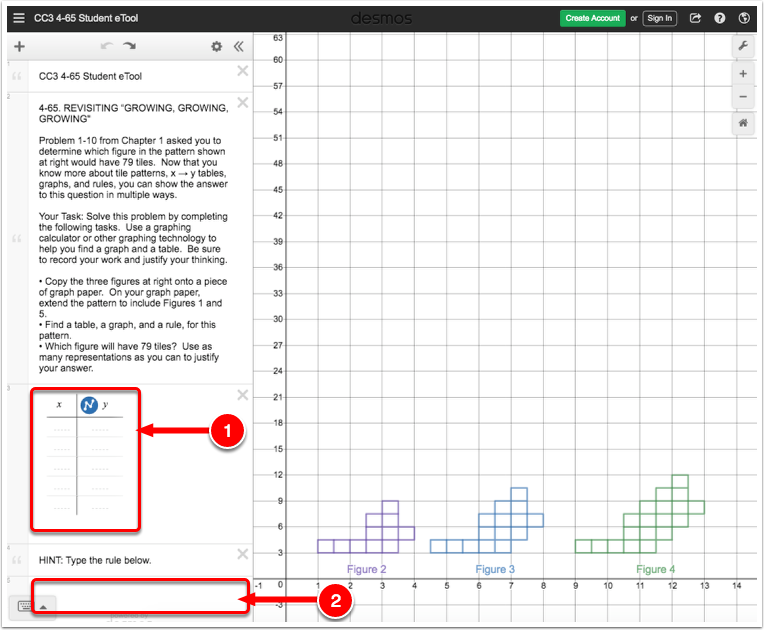 On your graph paper, extend the pattern to include Figures 1 and 5. Find a table, a graph, and a rule, for this pattern. Which figure will have 79 tiles? Use as many representations as you can to justify your answer. 1. Enter values in the table (line 3). 2. Enter the rule in line 5.